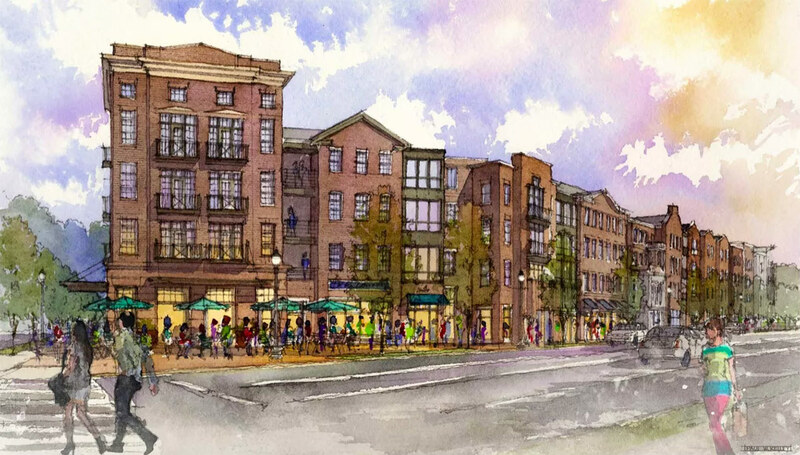 Developer issues an open letter to citizens of Louisville stating two major projects are a go. It appears Metro Louisville called Columbus, Ohio–developer Edwards Companies’s bluff and won. Sheldon Shafer at the Courier-Journal has the big news today that those developers, who recently threatened to pull the plug on two major projects on East Broadway if the city didn’t offer nearly $3 million more in incentives, has announced the developments will move forward. Are we investing in our community’s future? Or are we the chumps who mortgage our future for a ribbon cutting? What does it say about our political environment when a developer has the audacity to accept huge public subsidies for a private project and then threatens to abandon the project unless an even larger amount of public dollars is approved? Now the plans are again moving forward. “In an open letter ‘to the citizens of Louisville,’ the Edwards Companies said it has accepted the financial incentive package offered by the city’s development arm, Louisville Forward,” Shafer wrote, noting that it’s not currently know whether the developer will proceed with plans as proposed or scale back the project. One other detail also came to light: Five historic houses along East Broadway that Edwards Companies agreed to save will be donated to a local preservation nonprofit. Two other facades are being incorporated into the Phoenix Hill Apartments. 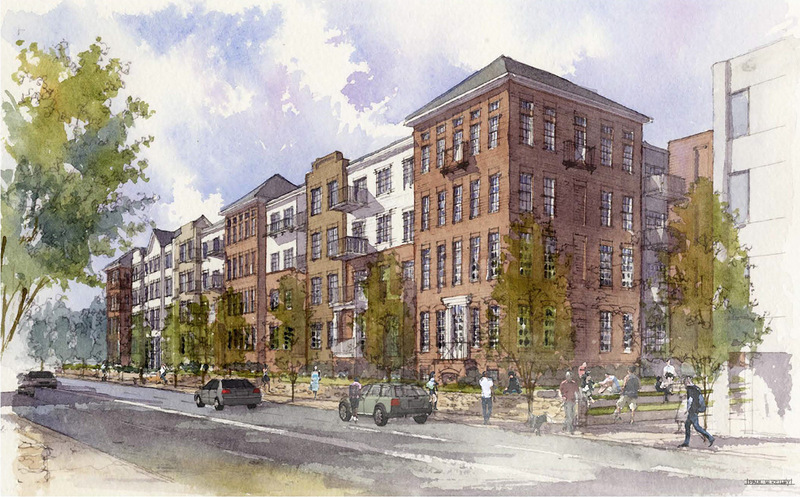 The two projects in question are the $25 million, 200-unit Mercy Apartments on East Broadway, sited on the former campus of Mercy Academy which has already been demolished, and the $52 million, 281-unit Phoenix Hill Apartments including 33,000 square feet of retail space, located on the site of the former Phoenix Hill Tavern. Combined, these two projects will significantly change the Baxter Avenue corridor for the better, adding much needed retail space and creating density on a site known mostly for its surface level parking. Their visibility and scale will make them a significant contributor to the urban feel of the street corridor, adding activity, density, and an urban edge to a prominent intersection and corridor.